Yesterday marked the sixth anniversary of the day that I launched this blog. Each year that this date rolls around it feels like an incredible feat to have made it this far and to still have energy and desire and ideas for how to cultivate this space. In blog years, particularly in the era of the million other platforms out there, six years feels ancient. And while it’s true that every year feels like a major accomplishment, I’m particularly proud of this past one. 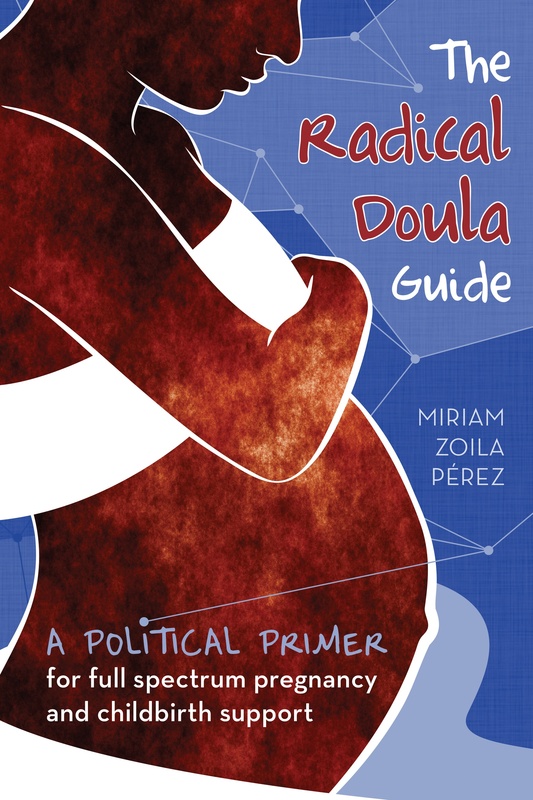 Publishing the Radical Doula Guide was a feat that I’m still not sure how I accomplished, but I continue to feel really proud that it is out in the world. I’ve sold about 750 copies so far, and I hope to sell many more in the years to come. The conversation about how to improve doula trainings, how to expand the role of doulas, how to finally start talking about how race and class have a huge impact on birth outcomes is moving. It’s moving, and growing, but still has a long way to go. The Radical Doula Guide is my contribution to this conversation, my attempt at filling some of the gaps. I offer it with humility, knowing how much more there is to do and say. It’s just one step of the million we need to take before we see anything close to birth justice in our world. I launched the fundraiser for the guide on this day last year, and I owe a tremendous thanks to all of you who generously donated and made that project happen. In honor of my 6th anniversary, I’m offering $2 off The Radical Doula Guide. To get the discount use the code SIXYEARS when purchasing a copy in my online store. It will only work through the end of this week, so act now to get a copy for only $10 each. The other major Radical Doula related accomplishment I’ll take a moment to pat myself on the shoulder for was my TEDx talk: Transforming Empathy. Doing that talk was an incredible opportunity to try and translate the work we do as full spectrum doulas to an audience who I couldn’t assume knew anything about doula work, and I’m really glad I had that challenge. Our work has many universal applications, and it’s taught me so much about how to approach social change work. If you haven’t already, you can watch the talk here. This coming year is going to be about improving on what I’m already doing, which mainly these days is providing a resource, a platform and a point of connection for all the radical doulas out there. I’m constantly working on my resource pages, and trying to promote all the opportunities for engaging in radical doula work here. And of course, I’d love to feature you if you identify as a radical doula. I’m also starting to do more speaking engagements related to my work here, so please be in touch if you’re interested in organizing something (radicaldoula@gmail.com). And as always, Radical Doula is just one slice of what I spend my time on. The best way to keep up with the rest of what I do is to follow me on twitter, subscribe to/follow my public updates on facebook, or join my email list. Thanks for your support! Here’s to many more anniversaries and many more radical doulas in our movement.